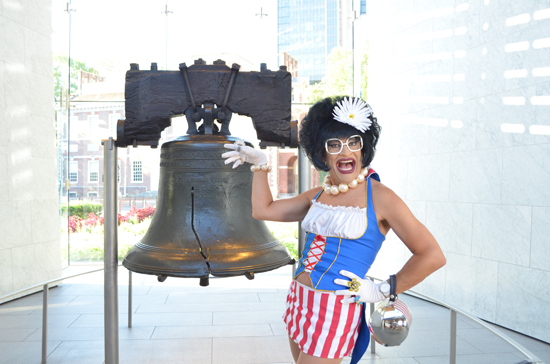 This week, the Philadelphia tourism office (Greater Philadelphia Tourism Marketing Corporation, GPTMC) released their newest television commercial -- one inviting LGBT travelers to visit and starring the venerable Miss Richfield 1981. GPTMC released its first, award-winning gay spot, which played up the city's historic assets and enduring independent spirit, in 2003. At the time, it was the first gay commercial by a destination, and it really was groundbreaking. Ten years may not seem like that long ago, but the country was another world then. Some perspective: There was no widespread national support for gay marriage, people in the military weren't asking or telling and RuPaul's Drag Race was just a dream. We still have our issues in the U.S. -- I won't rehash them here -- but there's no denying that we've come a long way. So the new TV commercial begs the question: Do we need gay-only travel advertising? As the co-founder of a gay travel website, I say yes! I do believe destinations should be marketing to LGBT travelers with targeted campaigns. The reason? We travel differently. It's not that we need to know where the closest leather shop is -- ahem -- but we do need to know where we can be completely accepted. Our straight friends don't know what it's like to face raised eyebrows when they ask for one bed instead of two in their hotel room. They don't get stares, whispers or worse when they hold hands with their partner. And dancing at a bar or club? Let's just say, the gaping mouths are not a result of our fresh moves. There's a difference between gay-tolerant, gay-friendly and, let's call it, gay-celebrating. We need to know: Where are the actual gay destinations, neighborhoods, restaurants, bars? While some in our community are busy pouring Stoli down the drain in protest, I move for positivity. Let's reward those destinations that are welcoming us with open arms, and with precious advertising dollars. Kudos to Philadelphia, where celebrating freedom means waving everyone's flags, even that rainbow one. To learn more about gay Philadelphia, go to visitphilly.com/gay and fagabond.com. Check out Philadelphia's new commercial: Miss Richfield's Selfie Tour of Philadelphia.